Self calibrating. 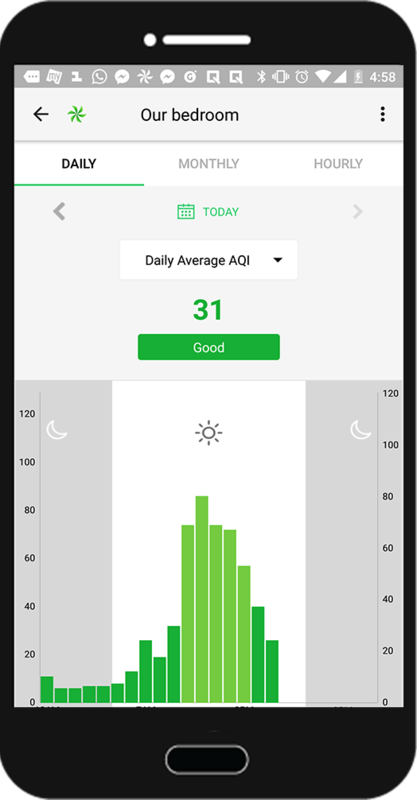 Can be manually calibrated by taking device outdoors and long pressing Setup Button. 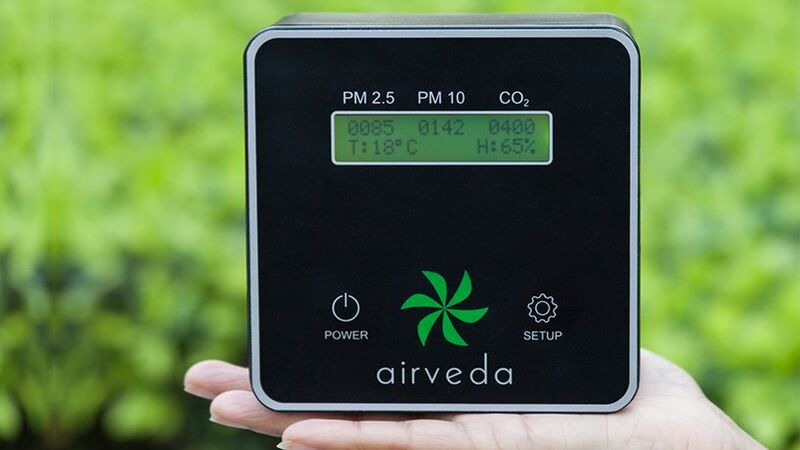 CO2 sensor is dual wavelength NDIR based (Nondispersive infrared sensor). Temperature sensor is CMOS, Humidity is Capacitive. Connects to wifi. 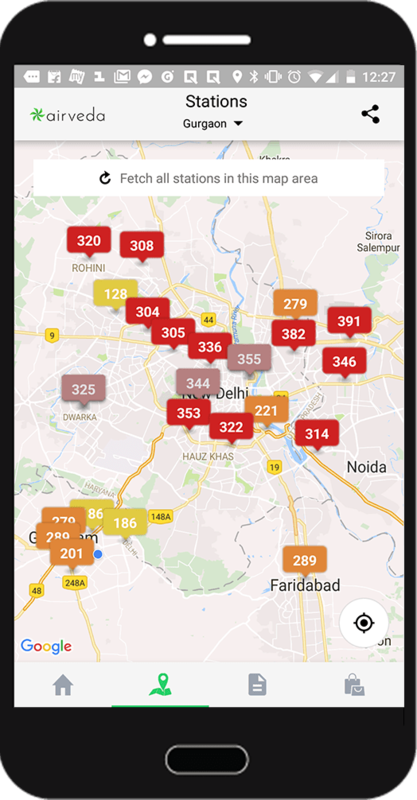 Data available in Android and iOS apps along with Indian AQI, day, week, month history as well as outdoor data in different parts of city. 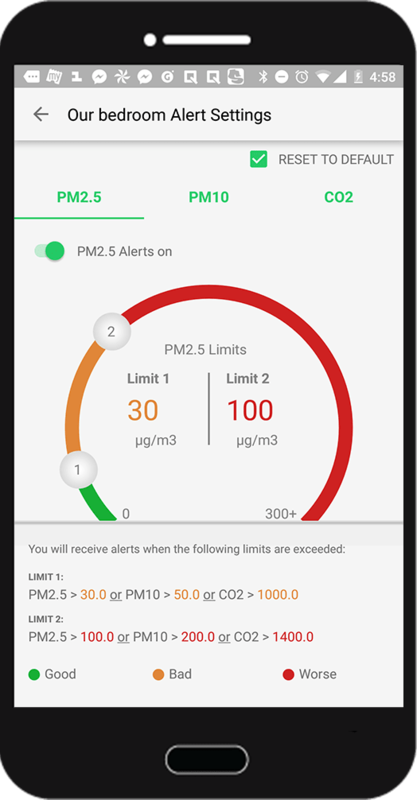 Customize two PM and CO2 notification levels for your monitor via the app. 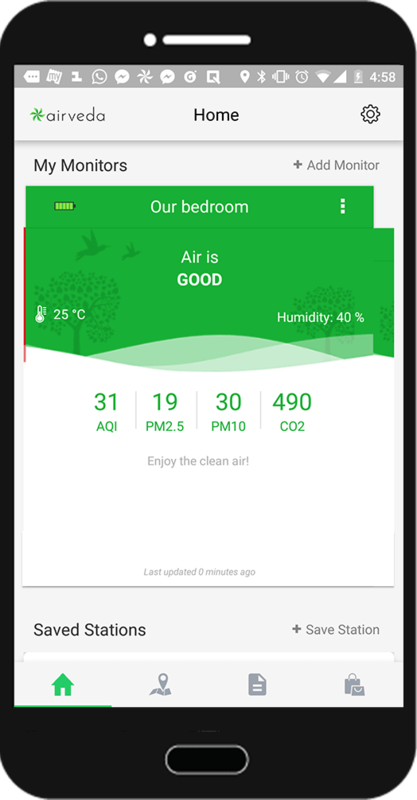 Get real-time alerts when these levels are reached, so you take appropriate action such as use masks, turn on purifiers or your kitchen chimney.